Work to begin on Pentwater-Hart Trail. HART – The Oceana County Board of Road Commissioners approved a contract with the Michigan Department of Transportation during a special meeting Friday, April 5, that starts work on the Pentwater-Hart Trail. Resurfacing and widening the shoulders of Business Route US 31 from the expressway ramps to Wythe Street in Pentwater will take place this spring in conjunction with MDOT’s resurfacing project in that area. The $744,000 road construction project is set to begin Monday, April 15, and will continue through the end of May, said MDOT Communications Representative John Richards. The Community Foundation for Oceana County received a portion of the $1.4 million that now-retired Senator Goeff Hansen (R-Hart) secured last July to help fund the $5 million trail. The MDOT contract deals only with the portion of the trail along Business Route US 31 to Wythe Street. This part of the trail is under MDOT jurisdiction and is maintained by the road commission. An administrative agreement for shoulder widening between the community foundation and the road commission was prepared by attorney Ed McNeely. Road commissioner Robert Carr cast the lone dissenting vote. 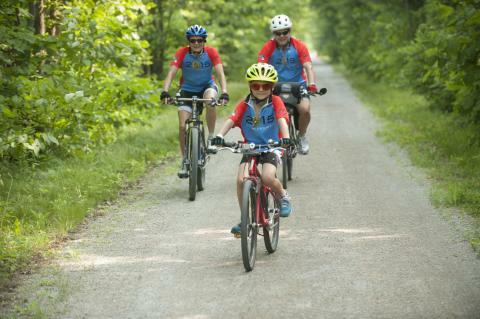 The trail was approved by the road commission board last September. South of the village, the trail will be constructed along Wayne Road to Harrison Road, south on 72nd Avenue where it would connect to the trailhead of the William Field Memorial Hart-Montague Bicycle Trail, in Hart. The trail would be a paved trail, separated from the road by a safety buffer.